A mellow meandering trail through pinon forest on Methodist Mountain. A great challenge for beginners and also a good trail for intermediate riders to practice their technique. This brand new trail in the Arkansas Hills offers super smooth singletrack with banked turns and great flow. Awesome views of the Sangre De Cristo Mountain peak through the coniferous forest. This is the sweet and smooth section of the rainbow trail. We will shuttle you up to the trailhead so that you can enjoy stunning views and an incredible ride. Follow the old railroad grade through granite canyons and juniper trees. This trail offers stunning views of the Collegiate Peaks Wilderness Area. Mostly mellow riding with some technical descents that can easily be walked. 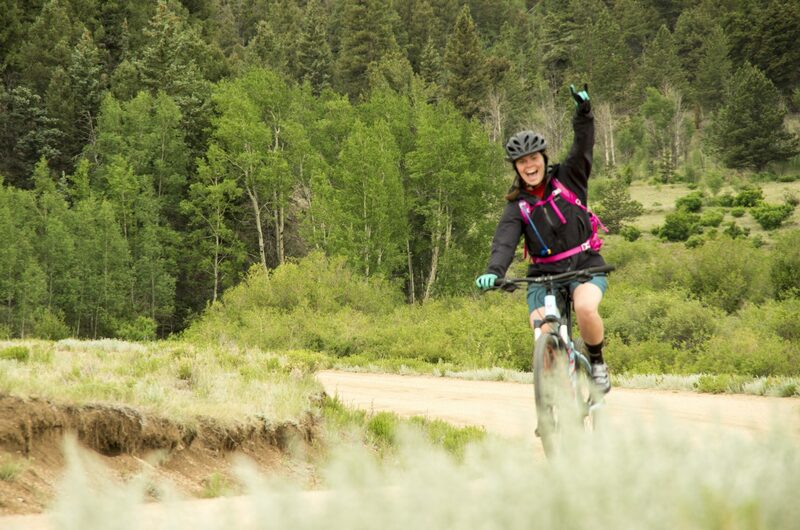 Combine this with the Buffalo Peaks trail for a full day adventure! Thanks to the nice folks at Salida Mountain Trails we have this awesome trail system in our own backyard. Expect some fairly technical singletrack through pinon forest. A number of loops can be linked together based on your ability. Choose from the awesome trail systems listed above. Beginner, intermediate, and advanced rides available. All equipment included.